The first full-fledged dispensary in Alaska, the most recent state to legalize cannabis sale and use, opened to a crowd of customers and well-wishers. The first full-fledged cannabis dispensary in Alaska opened over the weekend to a crowd of customers and well-wishers, further cementing the status of legalized recreational cannabis in the state that was the most recent in the nation to legalize its sale and use. The shop, called Herbal Outfitters and located in the south-central town of Valdez, opened on Saturday at “high noon” to a crowd of over 250 people waiting in line, according to its owner, Richard Ballow. The opening of the shop marks the first time that the state is offering recreational cannabis to customers, in keeping with its two-year-old legalization law. The opening attracted customers and well-wishers from across the region. Ryan Cummings, a Valdez resident and customer who was on hand for the opening, said that the occasion provided proof that democracy was alive and well. It lets people know if you vote on something, it’s going to happen. If you really believe in it its going to happen… The people that did it, all of us that made it happen, it’s very exciting. I think that it’s going to be a success. Maybe might mellow our town out a little bit. The shop sold 10 different cannabis strains on its first day of operation, purchased from two Alaska cultivators, Green Rush Gardens LLC in the town of Sterling, and Greatland Ganja from Kasilof. According to Herbal Outfitters General Manager Derek Morris, the shop, for the time being, will only sell cannabis flowers, indicating that the sale of cannabis oil and wax may lie ahead. 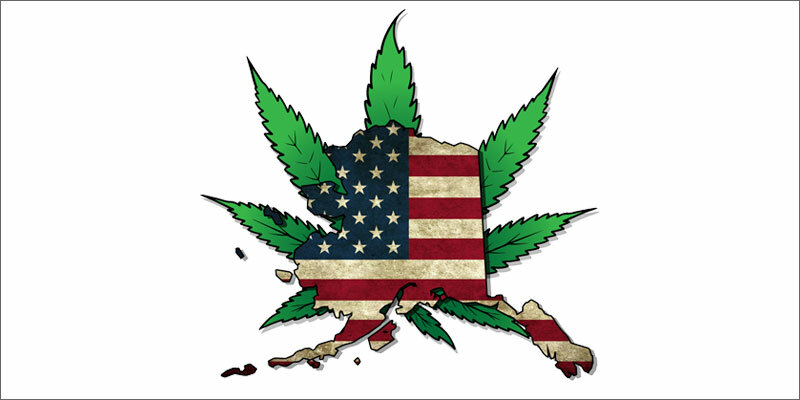 Alaska first legalized cannabis in 2014 via a statewide ballot initiative. The measure allowed for the recreational use of cannabis by anyone 21 and older. It also allows for the legal possession of up to 1 ounce of cannabis outside the home, and up to 4 ounces in a person’s residence, and for the cultivation of up to 6 plants. Herbal Outfitters’ days as the sole recreational cannabis business appear to be numbered: Frozen Budz, located in Fairbanks around 362 miles north of Valdez, is planning to open its doors today at 4:20 PM. The opening of the two businesses comes on the heels of the opening of the Anchorage-based CannTest, which purports to be the first testing lab in the state.